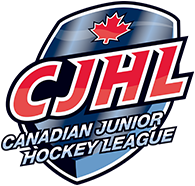 Penticton, BC: The Penticton Vees (33-13-1-2) have their sights set on first place in the BCHL, and a win against the Chilliwack Chiefs (36-12-1-0) tonight may be necessary to achieve that goal. The Vees got back in the win column with a 4-2 win over the Wenatchee Wild last night. Massimo Rizzo opened the scoring for the Vees to give them a 1-0 lead through one before setting up Jonathan Smart for his first goal in the BCHL in the second. The Wild began their pushback with a power-play goal coming with only 25 seconds left on the clock in the second period. The goal was maligned by the Vees and their fans as over 3,400 people in the stands boo’d the officials off the ice to end the second. Wenatchee evened the game early in the third as Matt Gosiewski scored from the right circle to knot the game at two. The Vees had a tough time getting anything going in the final period, not recording their first shot on goal until over the halfway mark. Once the Vees got that chance on net, the tide seemed to turn and it wasn’t long until Penticton was leading again. Evan McIntyre threw the puck on net from the right point and Mason Snell swiped at it, deflecting it down to the ice. The puck skipped off the ice and hit Austin Park up high before rolling over his shoulder and dropping into the crease. Ryan Sandelin was crashing the net and found the rebound for his 25th of the season to give Penticton a 3-2 lead with just over seven minutes to play. David Silye hit the empty net to seal the win. The Chiefs were on the road last night, winning 4-2 against the Coquitlam Express. 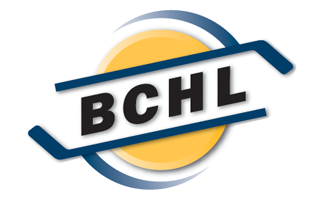 Kevin Wall had a goal and two assists to lead the Chiefs offensively and maintain their four-point lead over Penticton for first place in the BCHL. The win also pushed the Chiefs winning streak to four and was the first of the four games not to go to overtime. Penticton hasn’t seen Chilliwack since October 20, a 5-2 Vees win at the SOEC. Despite dressing five defenceman and 10 forwards, one of which was an AP, the Vees got two goals and an assist from Brendan Harrogate and 22 saves from Jack LaFontaine in the victory.